1 Alto Saxophone. 1 Saxophone Neck. 1 Sax Strap. Comfortable abalone shell key inlays. 2 Case Belt. 1 Carrying Case. 1 Cleaning Rod. 1 Cleaning Cloth. Beautiful and high-quality timbre. 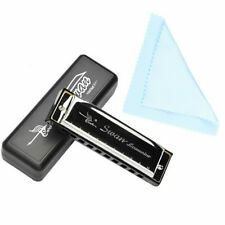 - Perfect for any beginner or harmonica lover. 1 x Harmonica. - 10 holes with key of C. Color: Gold. Our Support Team is Here For You! - Protected by comfortable box. 17 pieces of different sizes. Durable and exquisite. Covered by good lambskin. Designed for clarinet. A good item for clarinet. Package List: 17 * Pads Brand Unbranded MPN Does not apply UPC 190268054560. Bone flute, about 7,000 years old. Flute used in folk music, opera. air flow when the flute edges,leaving a portion of the airflow flute. When the flute, flute airflow into the spin spiral way forward. Quantity: 1 Set(1 x Ocarina 1 x Cord 1 x instruction book). 1 x Ocarina. Made from kiln-fired ceramic with a beautiful and durable glaze. Material: Ceramic. It has a dark blue glaze. There is also a platinum glaze around the triforce symbol. Wooden harmonica designed for children. Beautiful and colorful patterns printed on the plastic harmonica. Great music educational toy for children. Size:About 9.7 2.5cm. Key of C, exquisite blues harmonica with 10 holes, 20 tone. 1 Harmonica. Model: 1072-C. Item Weight: 53g / 1.9oz. It makes you feel comfortable, easy to use. 1 Adjustable finger support. Opening size: Under 14.5mm. Note: Light shooting and different displays may cause the color of the item in the picture a little different from the real thing. Woodwind Brasswind Saxophone Flute Repair Tools. (rust free). PG 014 pad iron PG 306 spatula - YouTube. Material : stainless spring steel (not normal iron sheet). Perfect for any beginner or harmonica lover. 1 X Harmonica. 10 holes with key of C. Color: Silver. Also note that monitor settings may vary from computer to computer and may distort actual colors. Due to the difference between different monitors, the picture may not reflect the actual color of the item. Type: Clarinet Cleaning Brush. Easy to use, keep clarinet clean and dry. Fits in clarinet easily. Features: Easy to Use, 3 Colors Design, Durable, Clarinet Cleaning Tool. 1 x Clarinet Cleaning Brush. silver/red 24 Holes Tremolo Harmonica Mouth Organ Key of C for Beginners . 1 x Alto Saxophone Ligature. -Great protection for your mouthpiece. -With carved designs. -Provide a great sound with wonderful flexibility. -Material: Brass Gold Plated. -High quality & affordability. Beautiful, sleek, accurate, stainless steel. Checking your tone holes with truly flat, clean, precision leveled corrosion resistant 303 stainless steel discs allows you to level tone holes with absolute certainty. Suitable for alto saxophone. The item only includes 1 reed, the Saxophone and mouthpiece not included. Good sound quality for your saxophone, comfortable using feeling. High quality ABS reeds, with careful polishing grinding, looks more elegant and exquisite. 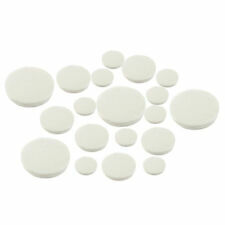 Made of plastic surface, no burr, won't hurt to your instrument. Chip clarinet bracket,easy to carry, easy to install. Stand stably in the plane. Let your instrument can smooth the upright standing. Color:black Diagonal distance:21cm Adjacent angle distance:14. 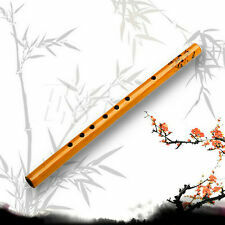 Delicate bamboo flute, D key, easy to play. Quality natural black bamboo, smooth and glossy surface, exquisite copper wrap on two ends. Material: Black Bamboo. 1 Chinese Knot. Item Weight: 83g / 2.9oz. The ocarina is made of kiln-fired ceramic,which is a very special craft in burning the ocarina. Ceramic Ocarina. This ocarina has exquisite breath response and crystal clear tone. 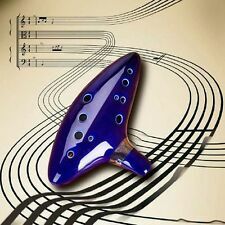 1 x Ceramic 12-Hole Ocarina. 17 pieces of different sizes. Durable and exquisite. Covered by good lambskin. Designed for clarinet. A good item for clarinet. Package List: 17 * Pads Brand Unbranded MPN Does not apply EAN 190268054560. A Clarinet Thumb Rest of Plated Brass. Bb clarinet thumb rest with screws. 1 Clarinet Thumb Rest. Type: Thumb Rest. Material: Plated Brass. Color: Silver. Pure natural cork for the clarinet neck joint. 10pcs × Clarinet Cork. Quantity: 10pcs. Material: cork. Color: wood color. Good elasticity and long service life. We believe that everything could be solved by communication. Woodwind Brasswind Saxophone Flute Repair Tools. Our repair tools are made with hardened stainless steel or coated with electrophoresis chromium. (rust free). 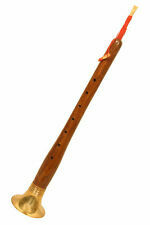 Play it for fun or give it as a gift ,this flute will be a good choice. Flute unique look makes it a nice decorative even when not being used.Makes a heart-warming gift for a music lover. Material: Bamboo. This brush is capable of keeping saxophone clean and dry without leaving any fiber. Features: Made of fiber, soft and durable. Fits in saxophone easily. Keep saxophone clean and dry. Specifications: Product size: 52.5 * 5 * 5cm / 20.7 * 2 * 2in Note: The sax showed in the picture is not included.